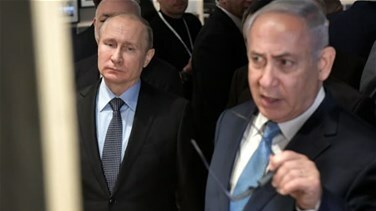 Israeli Prime Minister Benjamin Netanyahu briefed Russian President Vladimir Putin on Israel's crackdown along its border with Lebanon on tunnels it said were dug by Hezbollah, the Kremlin said on Saturday. Netanyahu said this week that the tunnels were meant for use by Hezbollah fighters to infiltrate Israel from Lebanon and carry out attacks. The Israeli military sent mechanical diggers, troops and anti-tunneling equipment to the border to shut them down. During their phone call, initiated by Netanyahu, "The President of Russia stressed the importance of ensuring stability in the region," the Kremlin statement said. Russia has links to Hezbollah's allies in neighboring Syria where it has lent President Bashar al-Assad critical support in the country's civil war. Lebanese Hezbollah is also aiding Assad, as is its backer Iran. Israel has largely stayed out of the Syria conflict, but it has launched dozens of air strikes against what it said were advanced weapon deliveries to Hezbollah, with whom it fought a war in 2006. Israel is worried that Iran, its arch-foe in the region, is using the Syria conflict to keep its forces in Syria permanently. A statement from Netanyahu said that in his phone call with Putin he had also "stressed once more Israel's policy aimed at preventing Iran's entrenchment in Syria and at acting against Iran and Hezbollah's aggression." The relationship between Russia and Israel has been strained since September, when Russia accused Israel of indirectly causing the downing of a Russian military jet by Syrian air defenses following an Israeli air strike nearby. In October, Moscow said it had delivered S-300 surface-to-air missiles to Syria, where Israel has struck Iranian targets. So far the Israel-Lebanon border has remained largely quiet but there are fears of escalation. On Friday, an Israeli cabinet minister said Israel was prepared to take action in Lebanon against the cross-border tunnels if it deemed it necessary. The United Nations peacekeeping Interim Force in Lebanon (UNIFIL) confirmed the existence of a tunnel near the "blue line" frontier between Israel and Lebanon on Thursday, describing it as a "serious occurrence". Israel is also concerned about Hezbollah obtaining precision-missiles and in September identified three locations in Lebanon where it said the group was converting "inaccurate projectiles" into precision-guided missiles - something Lebanon's government has denied.